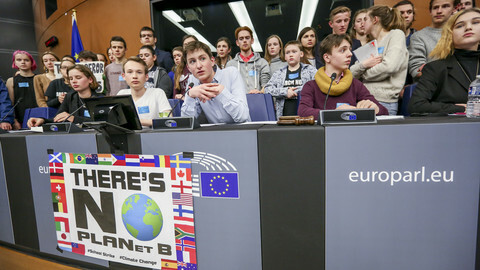 EU leaders coming together as the European Council at their EU summit in Brussels on Friday (22 March), rubber-stamped a declaration on climate change which requires some close-reading. 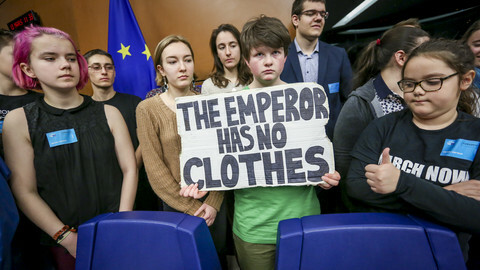 It is the first political text adopted by the highest-ranking politicians of the bloc since youth climate protests spread in earnest across all European Union states. According to the conclusions the council "emphasises the importance of the EU submitting an ambitious long-term strategy by 2020 striving for climate neutrality in line with the Paris agreement, while taking into account member states' specificities and the competitiveness of European industry". Exactly one year ago on Friday, at a previous EU summit, leaders had asked the European Commission to come up with a proposal for a European strategy for long-term greenhouse gas emissions reduction. 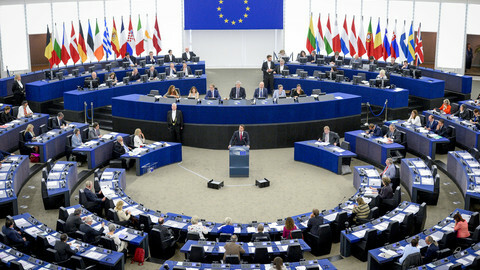 The commission did so well ahead of time in November 2018, in a strategy paper that contained several scenarios. 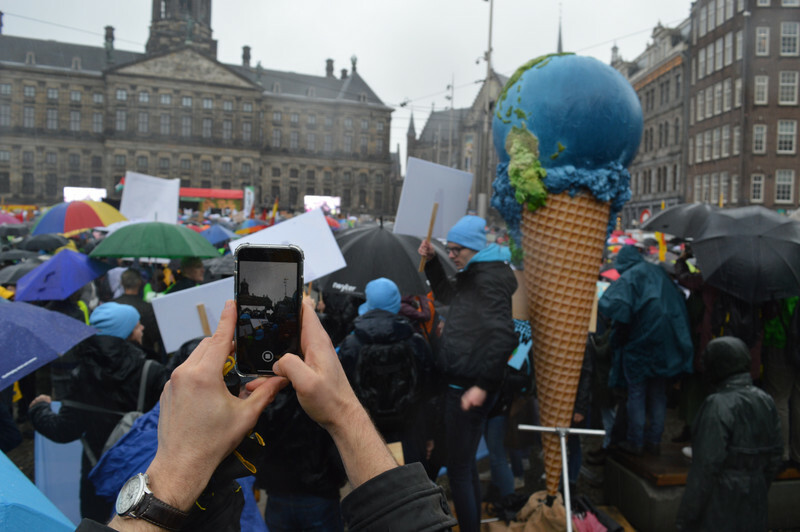 The commission endorsed a goal of reaching climate-neutrality by 2050, by which is meant that greenhouse gas emissions are reduced to zero or compensated with natural or technological means. However, the commission's contribution is only an opening bid - it is now up to the EU's 28, soon to be 27, national governments to agree on what its long-term strategy will be. The "by 2020" date is not new. It was already announced in December 2018, when EU leaders said at the previous summit that the EU should be able to publish its strategy by 2020. The December conclusions also said that the EU leaders in the council "will provide guidance on the overall direction and political priorities in the first semester of 2019". Since they did not become concrete at Friday's summit, that means they will have to do that in their June gathering. The word "ambitious" is of course important, but meaningless if it is not accompanied by explicit figures. 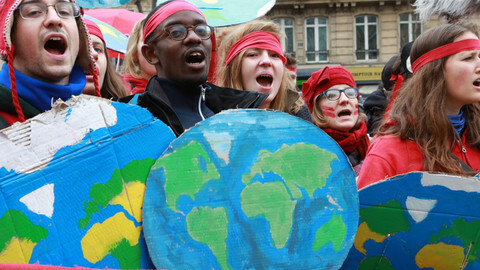 It is also noticeable that there is no mention of the year 2050, but rather "climate neutrality in line with the Paris agreement", referring to the first-ever truly global treaty on climate action concluded in the French capital in 2015. The Paris treaty said the world should be climate neutral "in the second half of the century" - although it did not use the words climate neutral but the more technical phrase "a balance between anthropogenic emissions by sources and removals by sinks of greenhouse gases". This commitment could mean reaching carbon neutrality anywhere between 2050 and 2099 - which according to environmental groups - and many scientists - is far too late. "The conclusions today on the fight against climate change fall short," said French president Emmanuel Macron, who called the compromise text "the least-worst solution possible". 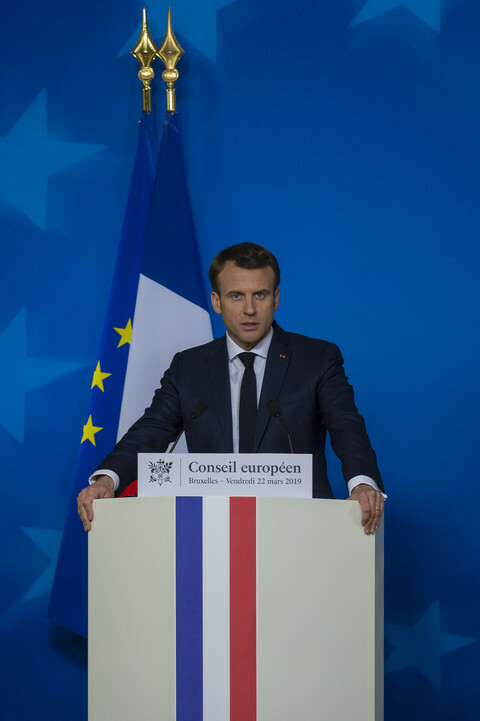 "Today, we did not respond with clarity to the engagements that we had taken in 2015 nor to the scientific challenges presented by the best of experts, nor to the legitimate passions of our youth demonstrating each week in the capitals," said Macron. Danish prime minister Lars Loekke Rasmussen too was disappointed EU leaders were not able to agree on setting a clear deadline in 2050. "I think we should have adopted a much more robust and much more ambitious formulation about the climate," said Rasmussen. "It is a week ago that the European youth went to the streets with a very clear appeal to us in our generation," he noted. As is custom for EU summits, draft versions of the conclusions are negotiated at a lower diplomatic level - and inevitably get leaked. On Wednesday, the Brussels office of the World Wide Fund for Nature wondered in a press statement whether EU leaders were about to tell their citizens to "get lost". "If heads of state fail to fix a target year of 2050, or ideally 2040, for net zero emissions, they are ignoring the hundreds of thousands of people calling for climate action across Europe and beyond, and the advice of all credible scientists," WWF said. An outlet funded by environmental group Greenpeace, Unearthed, reported on Thursday that it was Germany which prevented a specific mention of a climate neutral 2050 in the conclusions. The report was based on leaked documents, also reported on by other media like Euractiv. The Czech Republic, Hungary, and Poland reportedly were opposed to any mention of net zero emissions. These and other central and eastern European countries are worried that too ambitious a climate target will harm them economically. It is mostly for them that the conclusions contained the phrase that the long-term strategy should "[take] into account member states' specificities and the competitiveness of European industry". Simultaneously, Friday's text included a paragraph which stated that when trying to achieve the Paris goals, this will actually stimulate economic growth and create jobs. But another group of countries - Denmark, Finland, France, Luxembourg, the Netherlands, Portugal, Spain, and Sweden - were pushing for more climate ambition. Dutch prime minister Mark Rutte said Friday that the text agreed by diplomats ahead of the summit had been thoroughly discussed and "offered the consensus we could find". 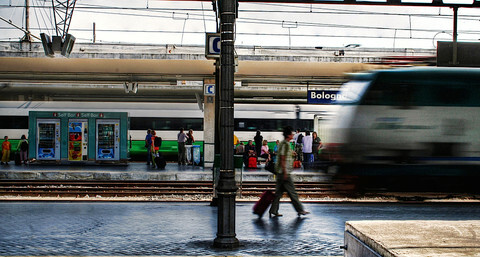 "What we haven't achieved yet is to get the target of 2050 in [the conclusions]. We are going to have to continue talks about that," said Rutte. Earlier this month Finnish environment minister Kimmo Tiilikainen told press his country supported the zero emissions goal for 2050. And Finland will take the helm of the agenda of minister meetings for six months as of 1 July. "Finland is prepared to take this work forward during our presidency and we are aiming to reach the council conclusions during that time," Tiilikainen said. Friday's council conclusions also called on the EU member states to achieve a "timely finalisation of the national long-term strategies" - which is basically a reminder of already-agreed promises. 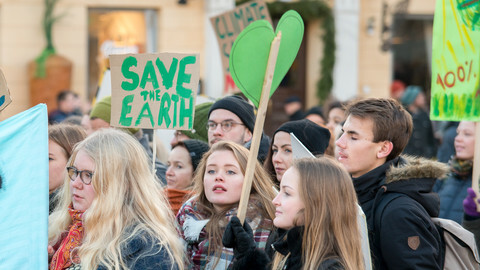 An EU regulation agreed last year said that each member state should have a national long-term climate strategy by 1 January 2020. The draft conclusions had said that the Council of the EU - meaning the member states' ministers - should "intensify its work on a long-term climate strategy ahead of a further discussion in the European council later in the year". At the summit, the more ambitious leaders were able to specify that this next discussion would be held in "June 2019", rather than "later in the year". Rutte mentioned this change as a success, but it was in fact nothing new. EU leaders already promised back in December that they would "provide guidance on the overall direction and political priorities in the first semester of 2019". And the June summit takes place in the final weeks of the first semester of 2019.